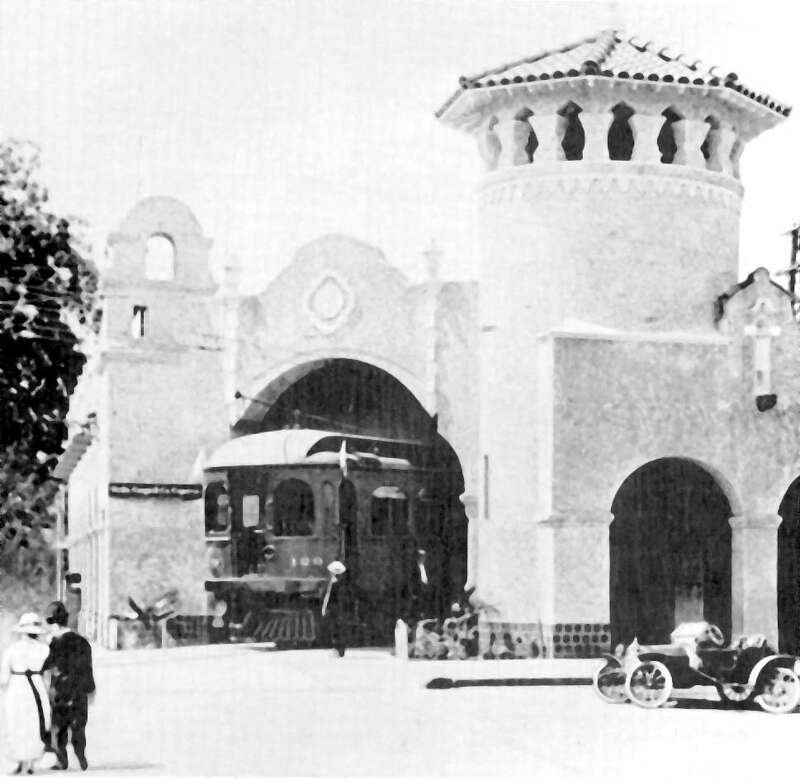 Niles motor 101, a fixture in Woodland for years, pulls thru the arcade and into the yard behind the station. Same scene, seen in the 21st century. 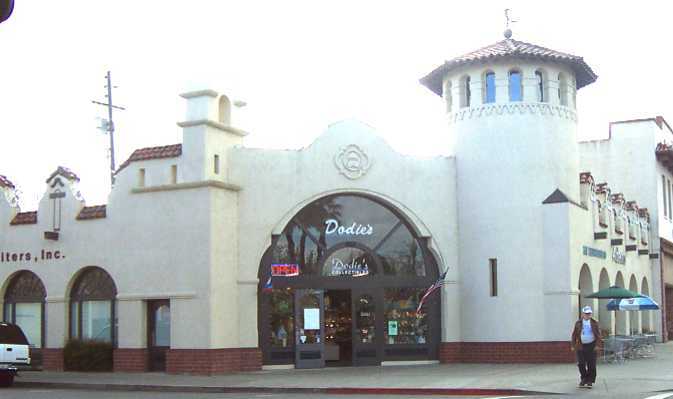 The building owner has done a masterful job of preserving the station's form. 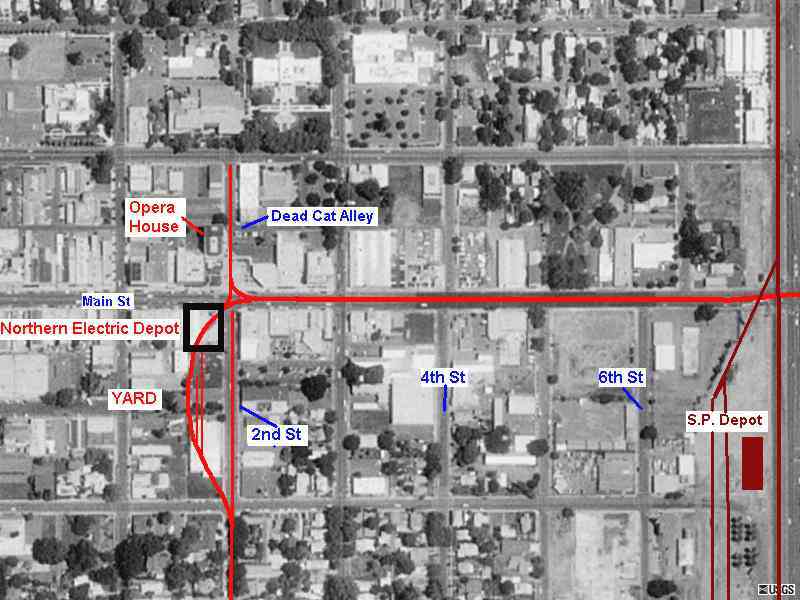 After preparing the above section of the page, I was able to locate the owner of the building, Tom Stallard of Woodland, and obtain some interesting additional information. 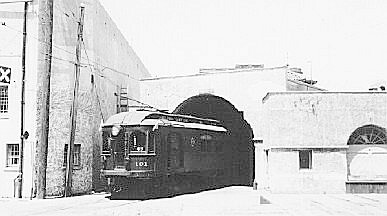 It seems that after passenger service ceased in 1940, freight trains continued to use the yard behind the depot, going through the station for access. 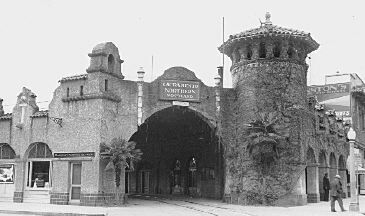 The enclosed, red-tiled arcade, where the tracks went through, was torn down in the 1940s. Greyhound used a portion of the building in the 1940s and 50s, and Railway Express Agency also continued operating there until 1960. 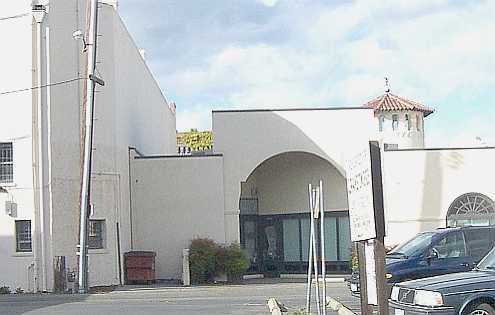 When Stallard acquired the building about 1980 it was in very bad shape, having been seriously damaged in two fires as well as by occasional vandalism. 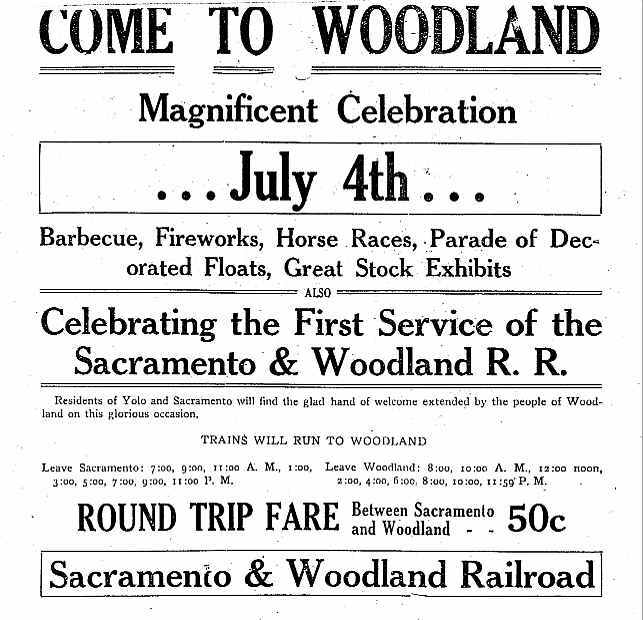 Attending a public utilities exhibit in Sacramento, Stallard learned to his amazement that the station's original plans were available in the California State Archives. So he proceeded to complete the demolition of the building, and set out to rebuld it as a commerial structure on the same spot. 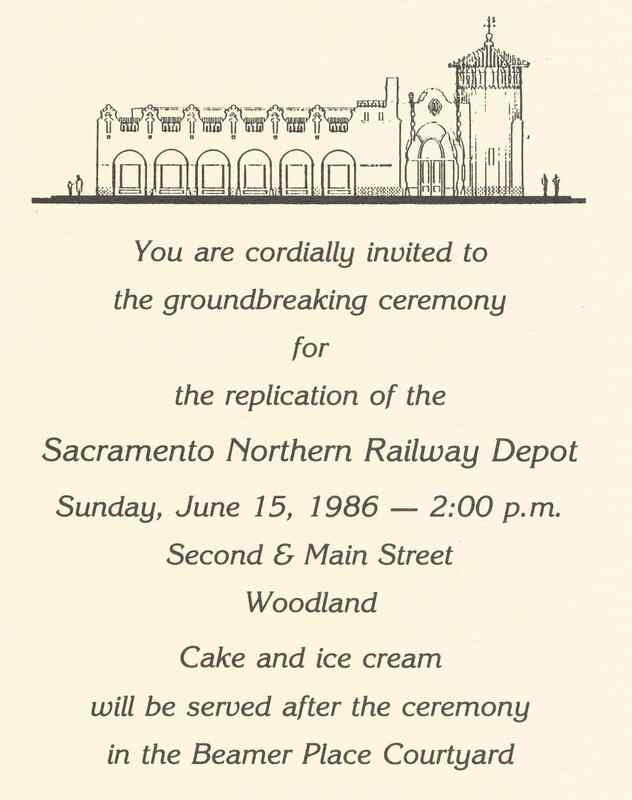 A groundbreaking celebration was held on June 15, 1986. So today's structure is a complete recreation of the uniquely beautiful original Woodland Depot. Car #129 leaves the Woodland Depot bound for Sacramento and Chico. Sign on wall to its left says "Wells Fargo & Co. Express"